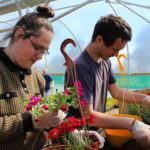 Through internships at the garden centre, people with learning or physical disabilities learn valuable life skills and improve their mental health. 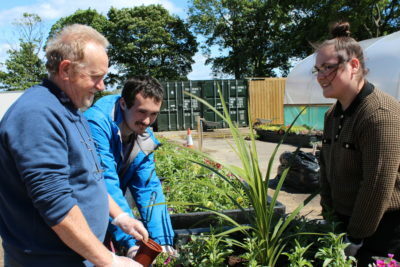 First started as work experience on an allotment for people with learning difficulties, Sunderland Homegrown CIC has evolved into a commercial nursery and garden centre in the heart of Thompson Park. After years of negotiating with the council, Sunderland Homegrown CIC managed to get the 1.5 acre site on a 25 year lease on a peppercorn rent. 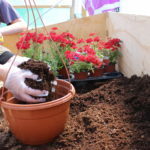 Power to Change awarded £133,200 grant to cover the set up and running costs for the garden centre’s first year. After clearing the site of 100 tons of debris, volunteers and interns have put up two large tunnels for plant sales, two greenhouses for growing vegetables such as cucumbers, tomatoes and chillies, and have started building planters out of reclaimed sleepers for larger vegetables such as pumpkins and courgettes. Overseeing it all is Gary, the only paid member of staff and a professional grower, whose salary is funded by the grant. 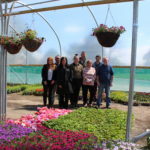 The income generated from sales, whether through the garden centre or the plant nursery, is reinvested into offering work placements and internships to young people with learning or behaviour issues from Sunderland College. They spend a few days a week planting up to 200 cuttings an hour (working up to a commercial rate of 600 an hour) and planting decorative flower boxes to improve the local parks, watering and tending to vegetables, and interacting with the public. 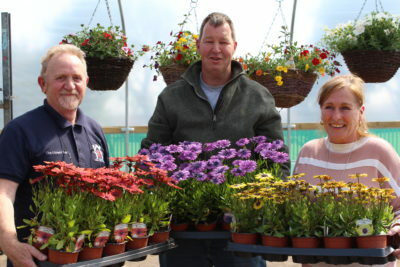 By operating on a commercial scale, the nursery has enough plants to supply bigger contracts such as flowers around Durham Cathedral and Lumley Castle, as well as generate income from plant sales at the garden centre. As it’s located in the heart of the park, a steady stream of local people visit the centre through the day. The local police also pay a visit, spending some of their office hours on site to prevent anti-social behaviour. The site is still being developed and Sunderland Homegrown CIC have ambitions to have a wildflower meadow and bees on site, create a beekeeping club for local people and schools to learn about bees, and sell the honey to generate another income stream. There’s also plans to create more mentoring opportunities and horticultural training programmes.